Pleasanton, CA, Sept. 02, 2017 -- Maddie's Fund®, a national family foundation established by Dave and Cheryl Duffield to revolutionize the status and well-being of companion animals, has committed $1 million to animal welfare organizations for Hurricane Harvey relief efforts. These funds will support organizations that are helping animals directly affected by the catastrophic Hurricane Harvey. The hurricane, which has poured 20 trillion gallons of water on the Houston, TX, area alone, is predicted to have an aftermath worse than that of Hurricane Katrina in 2005. "Our hearts are with Texas during this devastating time. The bond between humans and their animals is vital, and even more so in times of stress. Providing services to help reunite families as quickly as possible is paramount." said Amy Zeifang, of the Maddie's Fund Executive Leadership Team. "Thanks to Maddie, we're committed to supporting those who are providing lifesaving care for animals during this trying time." Many organizations, both local to Texas and national, have been on the ground helping in numerous ways - from donating supplies, to transferring animals out of local shelters to make room for displaced pets, to rescuing animals from flooding waters. While waters may finally be receding, it's been reported that the crisis and aftermath is far from over, and recovery will take time. 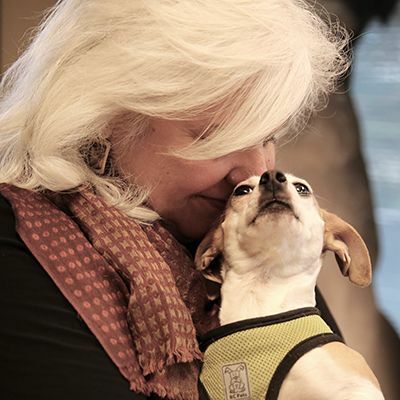 Zeifang added,"In addition to human services, we encourage those opening their hearts and looking for ways to help to consider supporting animal welfare services in the area."